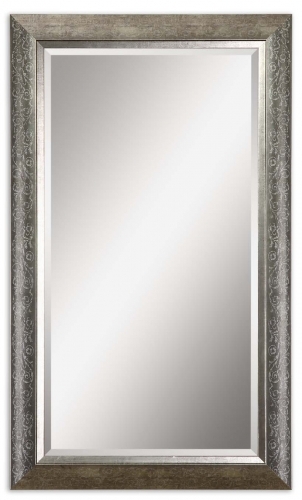 Umberto Mirror Featured a Silver Finish Frame with Subtle Stenciling. This is a mirror set. You will recieve 2 mirrors at this price. Availability: 1 * Available for custom order.